Are you aware of the fact that the project owner could easily file a complaint against your surety bond at any point in time? In all likelihood, you already go above and beyond to make the client satisfied. Nonetheless, there are still problems that could arise. A simple lapse could lead to a complaint and that could result in a potential disaster for your business. When you’ve taken a new project, it is essential to remain focused and continue communicating with the client throughout the project. Below, you will learn how to avoid claims to keep your surety bond in good standing. First and foremost, you should make sure you choose the right surety company. Some will be much more willing to go to bat for you. Others will quickly resolve the dispute, without looking out for your best interests. Before getting bonded, it is essential to make sure you choose the right surety company. Always go for experience and be sure that the company is completely dedicated to surety. This will increase the likelihood that they’ll do everything they possible can to prevent you from losing the claim. Your clients will expect you to get the job done on time and in a satisfactory manner. Suffice to say, falling off of schedule will prove to be disastrous. If you miss your deadline, it is highly likely that your client will file a claim with the surety company. However, you may be able to defuse the situation ahead of time. Speak with your client and let them know that the project might be prolonged for a brief period. Explain the situation. With a little luck, the client will understand and they’ll be willing to wait just a little bit longer. Another thing to remember is that your client will want to remain up to date with the on-goings of the project at all times. It is a good idea to communicate with the client at least once or twice a week. Doing so will give you the ability to let your client know where you are and how far you need to go, before the project is completed. Speak with your client consistently and this will give you the ability to catch problems, before they can escalate and transform into a dispute. In all likelihood, you feel like your business is at the top of its game. You already do everything humanely possible to satisfy the client. In fact, you may feel like there is little else you can do to improve. This is never true. There is always room for improvement and you should continue to seek it. Find little minor tweaks, which can be made to deliver a better performance. Every little bit helps! Truly, it is often best to focus on one project at a time in the beginning. Taking on too much may prove to be a terrible decision. Take your time and finish one project before moving forward to another. This will help you avoid getting overwhelmed and losing pace. And of course, it’ll help to decrease the potential for disputes. 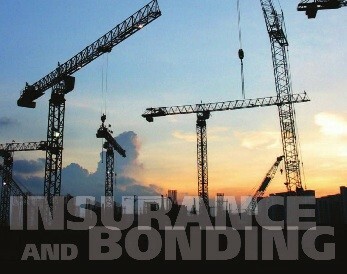 Surety bonds are designed to assure the project owner the contractor will complete the contractual agreement. The surety company takes on the responsibility to make sure the contractor upholds his/her end of the deal. Many times, the surety company will need to step in and assist the contractor, when they are faced with a financial or personal situation. Before the surety underwrites a bond, the contractor must be able to meet the requirements set aside by the surety company. Not every contractor that applies for bond will have a lot of experience under his or her belt. If fact, many new contractors will apply for a surety bond, even though they have little to not experience. However, most these professionals have a college degree, giving them more reputability. During the prequalification process, the surety company will investigate the applicant’s business history. Disputes and open claims will definitely end on a negative note, because sureties will refuse to deal with applicants, who have a history of mismanagement, fraudulent business practices and failing to fulfill obligations. Now, you should realize that those with poor credit can obtain surety bonds. However, having poor credit will make it more difficult to find a surety company willing to work with you. At the same time, this will most certainly force you to pay higher rates. Therefore, it is still best to maintain good personal credit. This will make it substantially easier to get the bonds you need, while also allowing you pay a little less. Generally, it is best to keep your credit and personal finances in good standing. If your company is forced to file for bankruptcy, you’re going to find yourself sitting stagnant. This is generally the case, because most surety companies will not issue bonds to those that are engaged in an on-going bankruptcy. To ensure you’re able to continue working and making money, you should better manage your finances and remain out of financial trouble.